Some household appliances just look dangerous at first glance, while others look innocent but pose a very real health threat. Regardless of what an appliance looks like, however, the point is: household appliances can be dangerous. Household appliance injuries are more common than you might believe. The U.S. Consumer Product Safety Commission estimates that household appliance injuries account for 150,000 emergency room visits each year. Some home appliances can cause serious personal injuries, such as burns, bruises, and even death. Users can avoid many of these injuries through proper use and careful attention to warnings. However, some injuries may be the result of negligence on behalf of any entity in the supply chain. Here are some of the most common appliances that have been subject to personal injury claims. When you use a space heater, you should always consider the possibility of house fires. Most space heaters on the market run on electricity, propane, or other fuels. If homeowners neglect to keep space heaters away from flammable materials, such as rugs and curtains, a house fire may ensue. These household devices can also lead to injury from electric shocks and carbon monoxide poisoning. Injuries from these kitchen appliances are common. Injuries commonly happen when a user gets their hands or fingers too close to the blade. Ceiling fan injuries are surprisingly common. The blades rotate anywhere between 70 and 150 rotations per minute. Injuries are common when parents walk under them with children held above their heads, during installation, and after neglecting to maintain the fan. Sometimes fans will fall from the ceiling on top of adults or children below. These appliances reach high temperatures. This makes them dangerous to use and be around. Homeowners should take great care when using these appliances. Improper use could lead to severe burns. Household appliances are subject to strict quality control standards. Despite that, some products come off the factory floor with defects. If a defect results in an injury to a consumer, the manufacturer or retailer could be held liable. Did the manufacturer have a duty to make a safe product? Did the manufacturer act negligently and breach that duty? Did the negligence lead to the resulting injury? Did the injury result in compensable damages, such as medical bills and lost wages? Keep in mind the manufacturer has a responsibility to provide consumers with sufficient instructions and warnings. Speak with an attorney if you plan to file a claim. The right lawyer can help you answer these questions and, if you have a case, pursue a product liability claim. Were you recently injured while using a household appliance? 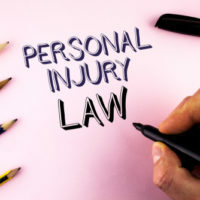 You may have a personal injury case, but these matters can be difficult to prove. You will need to seek the help of an experienced Miami personal injury attorney. The right lawyer can answer any questions you may have about the process and help you get the compensation you deserve. Contact a lawyer at Spencer Morgan Law today to get your free consultation.